Home » afghanistan , army , humor , microsoft , military , powerpoint , technology , united states , war , weird news , what the hell were they thinking » "When we understand that slide, we'll have won the war." "When we understand that slide, we'll have won the war." 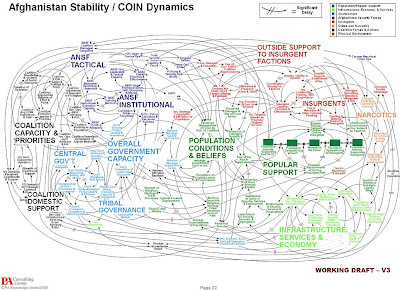 This is part of the PowerPoint presentation that was shown to General Stanley McChrystal and other United States military officers leading operations in Afghanistan. 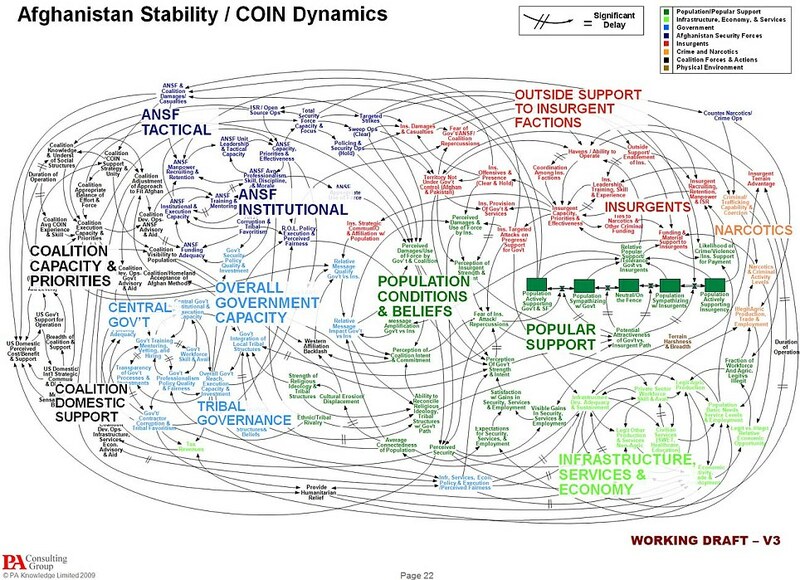 It's supposed to clearly and concisely diagram why the situation there is so dire. McChrystal, commander of American and NATO forces in Afghanistan, quipped that "When we understand that slide, we'll have won the war." Daily Mail brings us the both tragic and comic story of how PowerPoint has become despised by senior members of the military.